The winners of The Sentinel’s Readers’ Favorite Local Landmarks contest were announced last week, but the commemorative posters featuring them will have to be delayed for awhile. 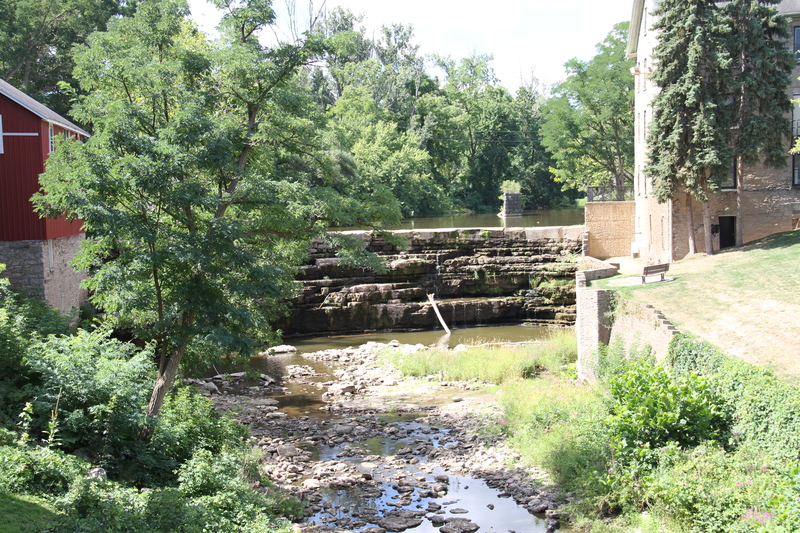 Due to Mother Nature’s fickle nature, there isn’t much water (actually barely a trickle) coming over the falls of Honeoye Creek in the village of Honeoye Falls right now as noticed in this photo which was taken by Sentinel publisher Chris Carosa on Tuesday, August 23. So until we can get a great picture of the falls to put on the poster, the posters will be delayed. The Sentinel thanks all those readers who voted in this contest.